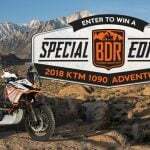 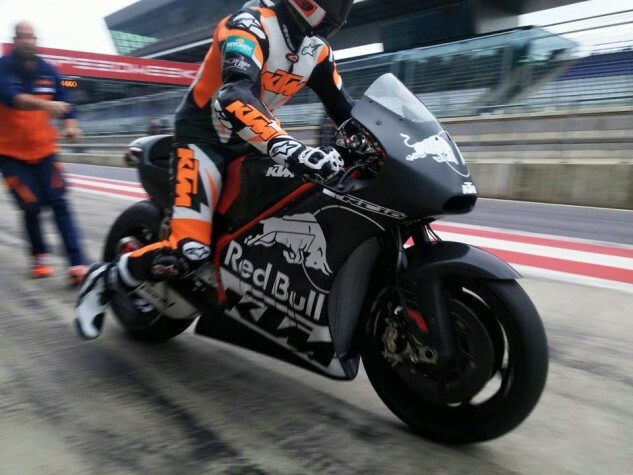 KTM Sporting Director and former Motocross World Champion Heinz Kinigadner also posted some photos of the RC16 on his personal Facebook page, giving us a good look at the prototype. 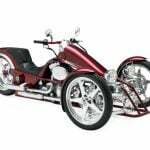 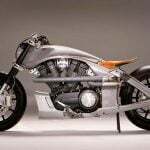 The RC16 is powered by a V-4 engine mounted to a steel trellis frame. 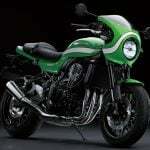 We can see an Akrapovic exhaust on the tail but we expect a second exhaust somewhere further down. 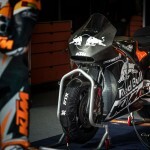 KTM-owned WP provides the suspension while the brakes are from Brembo. 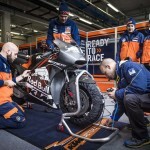 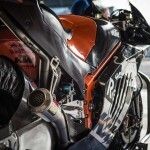 UPDATE: More images released by KTM reveal more details including the placement of the second exhaust on the right side. 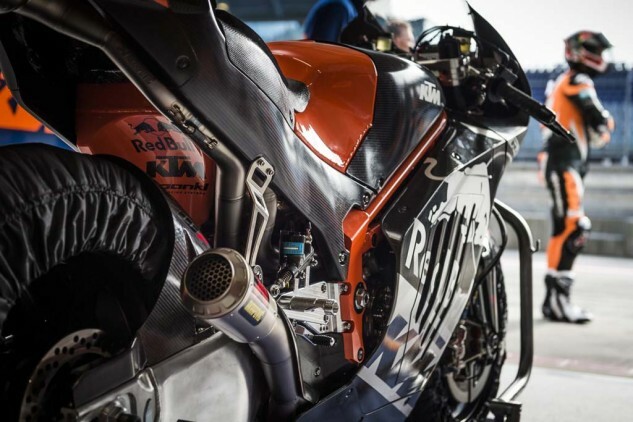 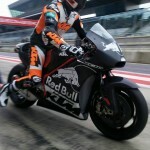 KTM isn’t supposed to enter the MotoGP championship until 2017 so there’s quite a bit of development to go. 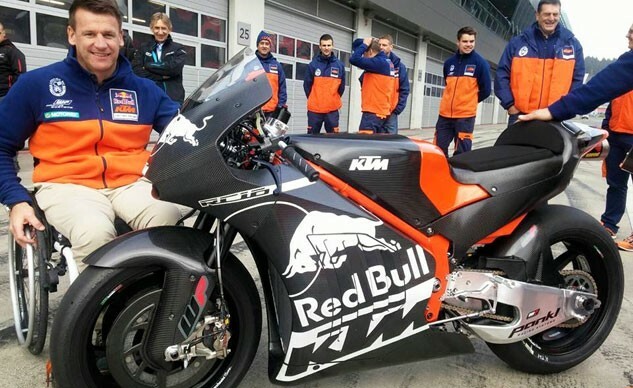 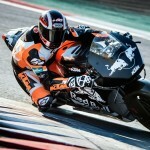 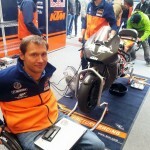 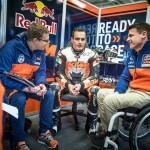 Along with Hofmann, KTM has signed Mika Kallio to help with the RC16’s development. 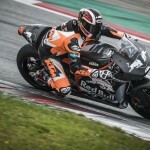 Kallio and Hofmann will take part in another test later this year, possibly at the official test at Valencia following the season finale.